The beach, backed by a sea wall, is completely tide washed. It has Newquay Harbour and the island flanking two sides, and a grass amenity area overlooks the beach from the town side. The tide at Newquay Towan Beach is currently high. Low tide will be at approximately 3:29 PM, and the next high tide will be at approximately 9:28 PM. 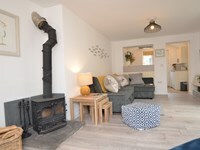 Parking is in Newquay, with a ten minute walk to the beach down a hill. Beach cleaned daily during the summer by contractor. around 4 miles north-northeast as the seagull flies, around 12 miles by road. 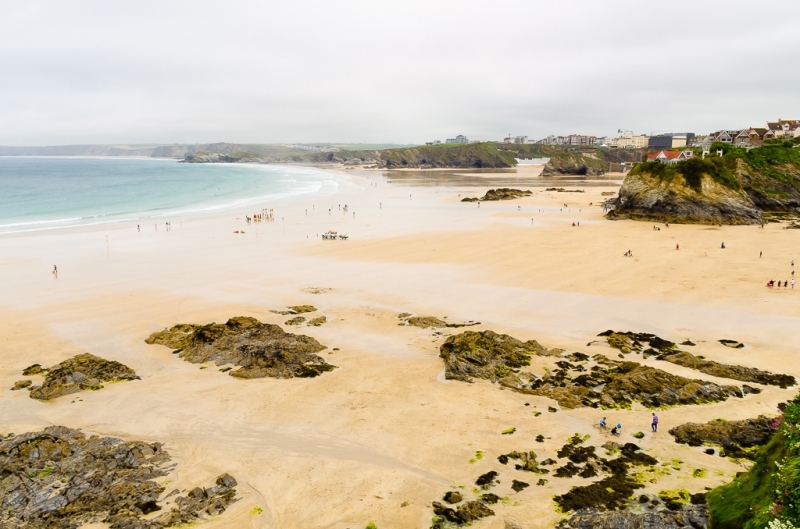 Visitor information for Newquay Towan Beach, Cornwall, England. Weather, tides, visitor comments, beach facilities, photos, nearest postcode, beach information and nearby accommodation.